No band sets out to become cult heroes. They all want their songs to be heard and appreciated by the largest possible audience. But when the music is as honest, and uncompromisingly adherent to a collective vision, as Elvyn’s is, sometimes the world just needs to catch up on its own. It’s not as though Elvyn are doing anything deliberate to embellish this image about themselves. In fact, if this were the 1970s, they would be standing shoulder to shoulder with Big Star, Badfinger, the Raspberries, Dwight Twilley, and all the other power pop pioneers. What Elvyn can claim is arriving at the same time in the 1990s when bands like Wilco and Teenage Fanclub were countering rampant aggression with the simple joys of a well-crafted melody. Elvyn have never veered from this approach, continuing to write better songs and discover better tones, all in pursuit of the ever-elusive perfect song. Valley Of The Kilowatt Hour is the first album Elvyn have released since 2010, and officially marks their 15th anniversary as a band. For all of the changes in music since then, it will likely serve as a first impression to a new generation of bloggers, critics, and radio programmers who may have a skewed perception of what a guitar-based outfit is supposed to sound like. Above all, it’s supposed to be human, and after so many years of playing together, the chemistry shared by the members of Elvyn has coalesced into a sound only these five guys can create. Lead vocalist/lead guitarist Ryan Beerman was able to harness that in the studio, producing, engineering and mixing the album using his unique sonic palette. 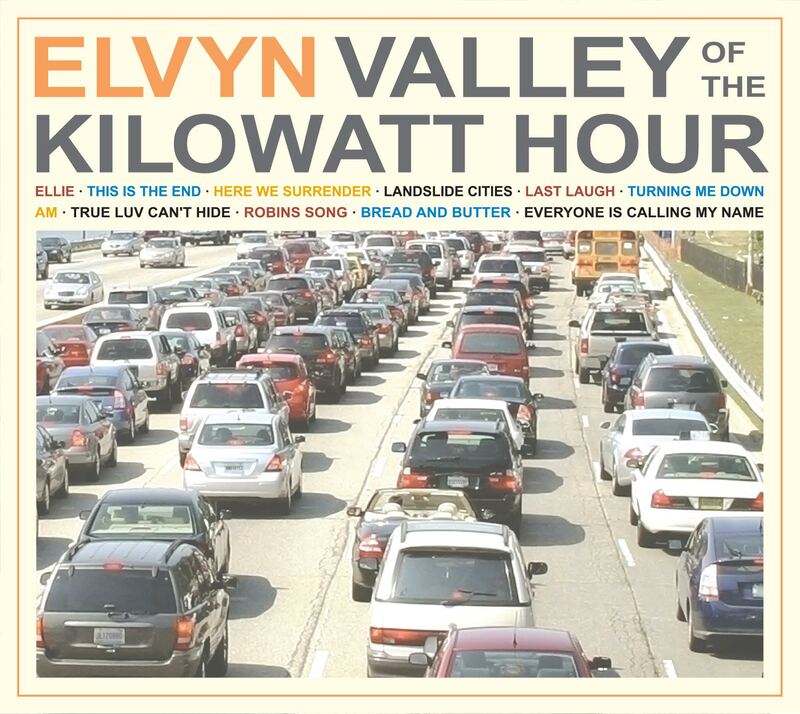 Even longtime Elvyn fans will immediately concede Valley Of The Kilowatt Hour is, in all respects, the best album they’ve made to date. This judgment could be solely based on the power pop dictum that each song can serve as a single. Yet, when forced to choose, the band selected opening track “Ellie,” a classic unrequited love story wrapped in a warm sweater of a chorus. The other contender, “AM,” showcases the twangier side of Elvyn they’ve not surprisingly held onto given that (as true Canadians), the sound of Neil Young & Crazy Horse is part of their DNA. But within that framework, the band’s musical maturity speaks volumes on the slow-burning moodiness of “Last Laugh,” and the exquisite George Harrison-esque touches on “True Luv Can’t Hide.” It’s at this point, when getting deeper into the album, that its sonic consistency comes into sharp focus, as fuzzed-out guitars find room to breathe alongside sparkling three-part harmonies; the kind of loose and breezy arrangements that recall the times in our lives when all that mattered was trying to cram as much fun into a weekend as possible. As the chorus to “Robins Song” goes, “This is going to be the best summer ever.” ‘Nuff said. 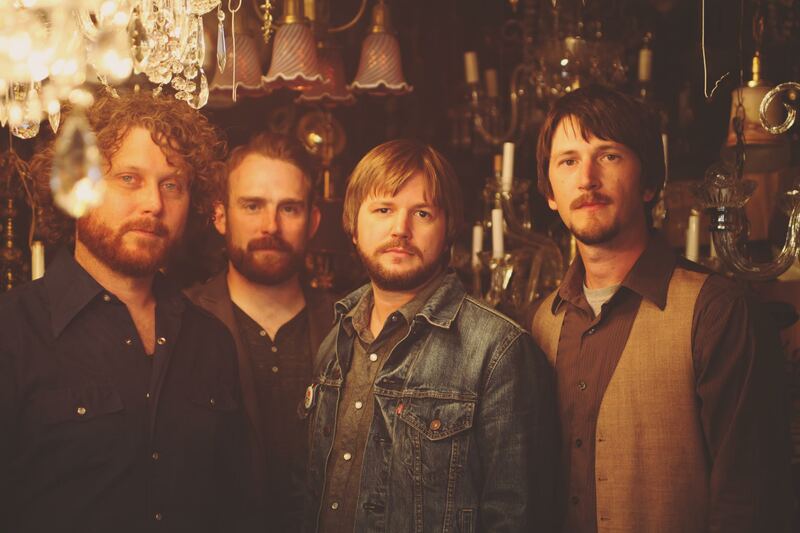 Along with Ryan Beerman, Elvyn consists of his brother Joel on drums and vocals, guitarist Jeremy Knibbs, and brothers Jason and Dean O’Reilly on—respectively—bass and keyboards/acoustic guitar. The band splits its time between Toronto and Peterborough, Ontario, where they produced Valley Of The Kilowatt Hour in their home studio. Soon after forming, Elvyn released a three-song demo entitled As Dark As It Is, followed by the full-length Ten Car Stereo, and an EP, The Big Bay. Their most recent album is 2010’s The Decline, which Goldmine Magazine listed at #9 for its Top 20 albums that year.